Waitin at the Cook Shack - art print. The original is sold. 16x20 inch canvas art print of cowboys at the Cook Shack. 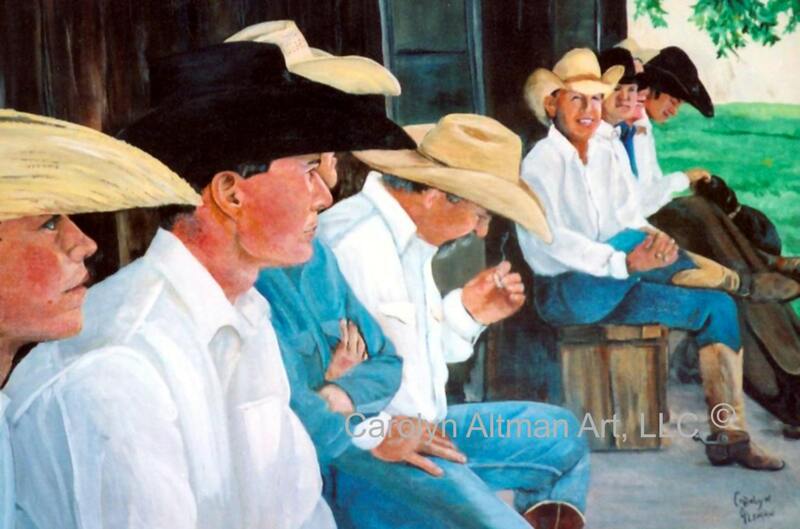 I painted this painting from a photo I took this photo of cowboys sitting in front of the cook shack on the Waggoner Ranch, as they waited for hard lunch!